The Olympic torch made it to the Kremlin in Moscow after starting the Russian leg of its global journey, but a strong gust of wind extinguished the flame. 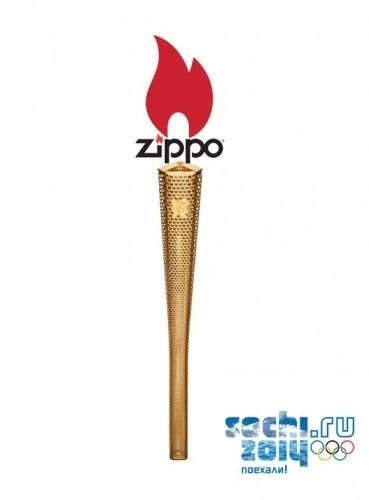 The Olympic flame is inextinguishable, promised the Russian government who has spent over two hundred million rubles (6 million USD) just to get the flame going. However, it went out. Ironically, right in the Kremlin. With the help of a lighter (Zippo, ominous? 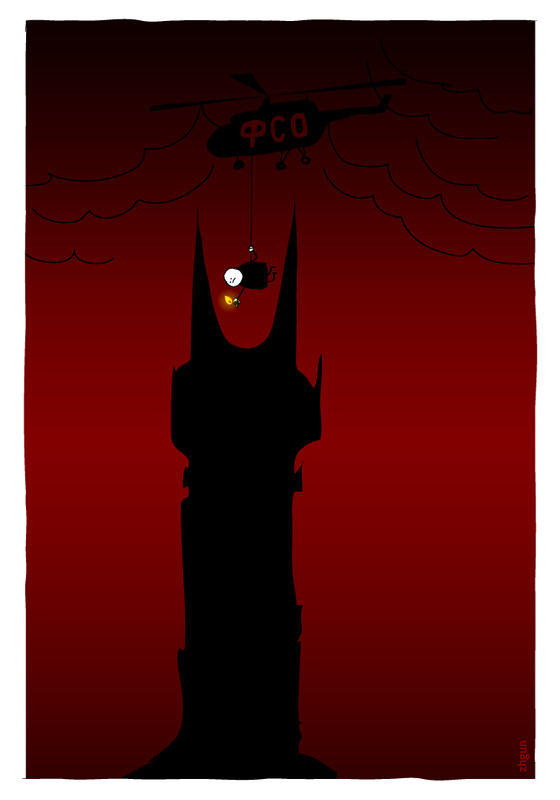 ), the flame was reignited and the run continued. PS: The Olympic torch carrier was the Armenian finswimmer Shavarsh Karapetyan, famous not only for his sport career but also for saving lives of 20 people. 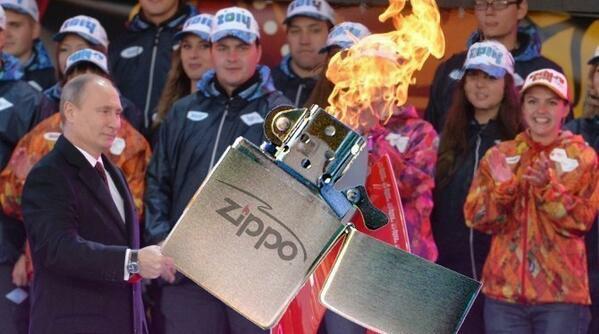 The lucky Zippo owner was a random Kremlin security guard. Update: The Olympic flame again extinguished itself. 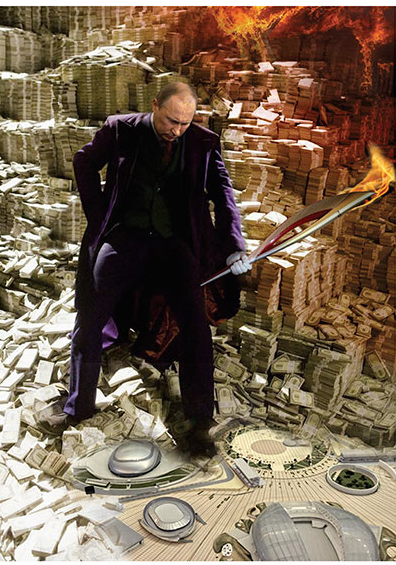 Russian Internet users react with the series of Photoshopped images.